Here at Walks of Italy we like helping you get more out of your travels. From comprehensive travel guides to our award-winning tours, traveling is both our business and our passion. If you want to see some of the Italy’s most astounding sights in the company of our expert guides, check out the Walks of Italy Tour Page. If you’re trying to save money while you travel in Italy, finding budget accommodation is the key. Since hotels in Italy, especially cities like Florence, Rome and Venice, can easily cost €150 a night, that can be tough! But, of course, we’re here to help. This is our second post in our series on how to travel to Italy… on a budget! One of the best ways to get a feel for average hotel prices in your destination in Italy is, of course, to do some research. The booking site Venere is easily searchable and has tons of reviews. (Just be aware that in our experience, for whatever reason, these reviews tend to be a bit more on the positive side than those on other review sites). For hotels, Tripadvisor is also a good bet — check out some of travelers’ top choices in your price range and see if any fit the bill. If you see something fantastic, then don’t automatically book it through the site you’re on. Call or email the hotel directly to see if you can get a cheaper rate. One of the easiest ways to save on staying in a hotel in Italy? Don’t stay in a hotel! Italy is chock-full of other options, some of which can be much better value than even a budget hotel. If you are set on a hotel, find out how to pick the perfect hotel in this blog. Here are some of our favorites. We’ve already written a blog on how to stay in Italy’s best agriturismo accomodations, so we won’t cover it extensively here. Suffice it to say these are “farm-stays,” where a family has accommodation for guests on their (usually gorgeous and scenic) farm, with the option of homecooked, farm-fresh meals included. Some are rustic; some are luxurious; and all have the kind of character that you just can’t get at a place with a front desk. Plus, They’re cheap. Expect to spend 30 to 50 euros per person, per night, depending on the season and region, including dinner and breakfast. (Bonus: Since these have lots of open space and animals, this is a great option for families with children). 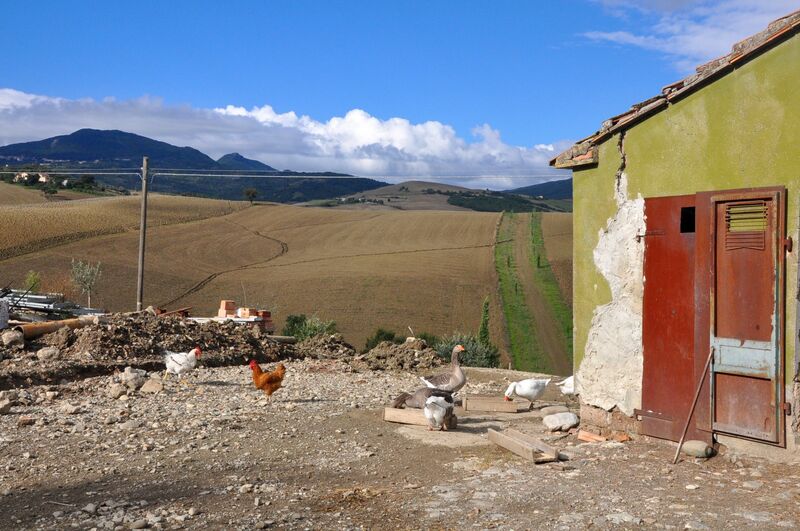 Animals and beautiful views are just one benefit to staying at an agriturismo. The other part? The price! One of the best ways to find agriturismi is, believe it or not, to use Google maps. (There are simply so many in Italy, no review or booking site could cover even a fraction of them — and we’ve stayed at dozens over the years, almost always without reading a single review first, without once having a negative experience). Zoom into the region in Italy where you plan to be staying, then type “agriturismo” or “agriturismi” into the search bar. When you click on those that pop up, many will have a website with photos that you can check out. Want to stay in the heart of Venice? Why not at a convent guest house, like this one of the Suore Figlie di San Giuseppe del Caburlotto? Another off-the-beaten-path way to experience Italian culture while saving money is to stay at a convent or monastery. They’re usually in beautiful, historic buildings; they can be in the heart of the city center, or out in the countryside; and you can’t get any more tranquil! Just make sure you read carefully. Some stays have curfews or rules (like no drinking or no noise after a certain hour), and they’re certainly not meant for those who want to party it up in their hotel room! For a double in a city center, expect to pay between about 60 and 100 euros per night. To find (and book) them, we like the site Monastery Stays, which lists more than 500 convents and monasteries with options for guests across Italy. Keep the site’s advice in mind: “Do not expect luxury — that is not a monastery’s purpose. Expect clean, well presented simple and functional rooms with warm hospitality from your hosts.” Sounds good to us. 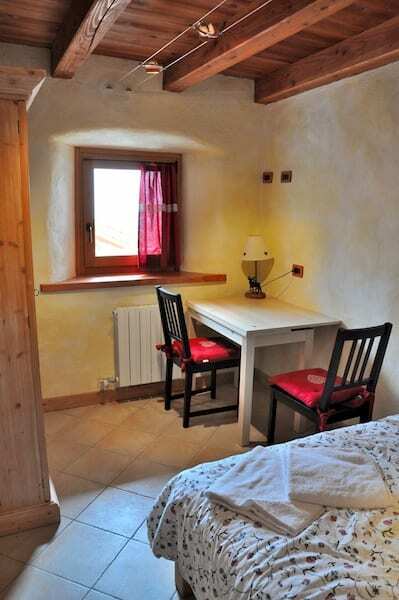 Room at a B&B in the Valle d’Aosta, Italy — cute, cozy… and cheap! In the United States, bed and breakfasts tend to be on the pricey side. In Italy, though, they can be one of your cheaper options. Know that it’s getting harder to find a “pensione,” that type of old-school accommodation where an Italian rents out a couple of rooms in their house for cheap. Instead, B&Bs tend to be a block of three to ten rooms that strike a balance between the amenities of a hotel (daily cleanings, breakfast) and that type of traditional pensione (often family-run, with an informal touch). In general, expect a double in a good, central B&B to cost between 80 and 130 euros per night. They’re included on Tripadvisor and Venere, as well as on other sites like HomeAway, so just change the accommodation type if you want to search for them. Just don’t expect a full-on, American or British breakfast: Often, breakfast is light with cold options only. Some “B&Bs” don’t even serve you breakfast at all, but give you a voucher for a nearby cafe. So if a big breakfast is what you’re after, you might have better luck at an agriturismo. Renting a short-term apartment can be one of the best choices for saving on expensive city accommodation, especially for families. There are lots of options for renting homes or villas in the countryside, too. The bonus, of course, is that you can get separate rooms under one roof for the whole family, plus you have a kitchen, so you can save money by cooking at home. The downside? Don’t expect concierge service. Rentals by owner can be hit-or-miss, so make sure you know exactly what you’re getting! (For more information, check out our blog post on 6 tips for booking your short-term apartment in Italy). While you used to have to use a commission-charging rental company to find apartments safely, it’s now a lot easier. Sites we like that let you search, and book, yourself — and that have photos and reviews from past guests — include AirBnB, HouseTrip, and HomeAway. (They hold the money for you to make sure there’s no hanky-panky before delivering it to the apartment owner). While you can also find lots of listings in cities like Rome on Craigslist, be very wary, as scams there are rife. Never, ever send or wire any money to a Craigslist poster in advance. In all honesty, with all of the other cheap accommodation options in Italy, it’s not really necessary to stay at a hostel — unless you’re young or traveling alone and want to meet other people, or you just really need to save that extra 20 euros. If that’s the case, you really need to read our blog on how to travel Italy on a budget. Expect to pay between 20 and 40 euros per person, per night for a no-frills bed in a city center. To find them, one of our favorite sites is Hostelbookers, which has reviews from past guests. We also like the site Hostelz, a no-frills site with thousands of hostel options worldwide. Another way to save on hotels in Italy? Be a little creative with your location. We say this with hesitation, since there’s no better way to put a damper on your vacation than having to walk 10 minutes through a dicey-looking area each night to get to your hotel, or needing a long commute to the top sites. Plus, it’s generally a good idea to pay for the place you’ve been imagining — so if you’re excited about the winding streets of the historic center in Rome, don’t book a modern hotel in the E.U.R. business district. It’s also important to keep transport in mind: In most cities, public transport is infrequent (or nonexistent) at night and taking lots of cabs negate the whole attempt to save money! Still, sometimes, being off the beaten path can give you what you didn’t even know you wanted… at a cheaper price. Sometimes this might mean staying in one town over another in the same region, Like choosing Salerno over Sorrento on the Amalfi Coast. Another good example: We recently traveled to Venice. On our first night, we stayed at an agriturismo. Tranquil, lush, filled with farm animals (and puppies! 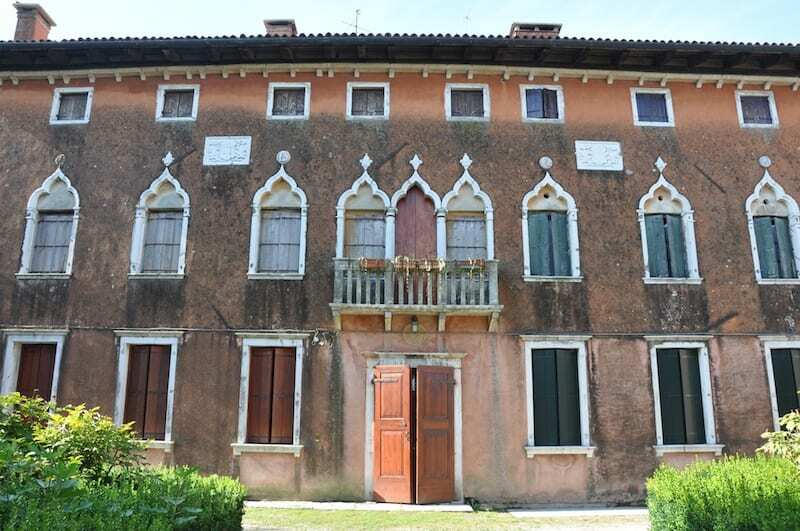 ), the Villa Mocenigo even had a 16th-century villa; we stayed in a room with antique furniture and dined on homemade, farm-fresh food. 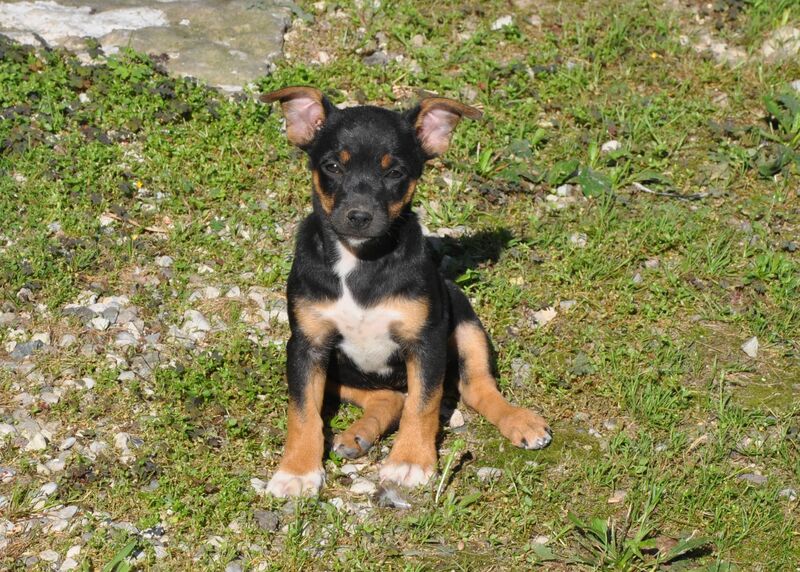 Okay, maybe it was the puppy that really sold us on our budget hotel choice. The price? 35 euros per person. Sure, we weren’t in Venice — but we were just a 20-minute drive from the city center. Since we were visiting Venice at the height of high season, that meant we not only got to save money, but that we were able to rest our heads somewhere tranquil, outside of the craziness of the center. While staying at a farm just outside Venice on a trip to see Venice might not be for everyone, it was for us. So always weigh your options. At the same time, always ask why a certain neighborhood might be so much cheaper than others. In Rome, for example, there are lots of cheap options around the Termini train station. The reason? Many parts of the neighborhood aren’t very nice. So be on your guard and do your research — but don’t be afraid to think outside the box. If you have any questions about how to fight the perfect cheap accommodation in Italy, ask in the comments and we’ll get right back to you! Previous articleWhat Is… An Agriturismo? The prices you are quoting seem high to me. But i like your list of websites to check! I would like to visit Italy. Please suggest some good places. Also, some recommended apartments which are good and yet not too pricey. I also heard about staying in a domitory. Would be grateful for all suggestions. Thanks a lot. Thanks for sharing this! I am looking to stay in Venice for a month and it seems as though it is much cheaper to stay in an apartment than a hotel. Hostels really aren’t my thing and I stayed in a convent last time I was there. It was nice but no washer/dryer. Interesting written article! I like the alternatives you give to today’s traveller of somehow saving money on accommodation. Just as you mention in the article we see the same in The Netherlands and have started to rent out apartments on the short stay concept. Like the list of sites mention, will check this out. Kind regards, Onno. I have heard Italy is on the high side as far as prices for accommodation. I do think that pensions are the best option in this case. Good review with some helpful pointers. 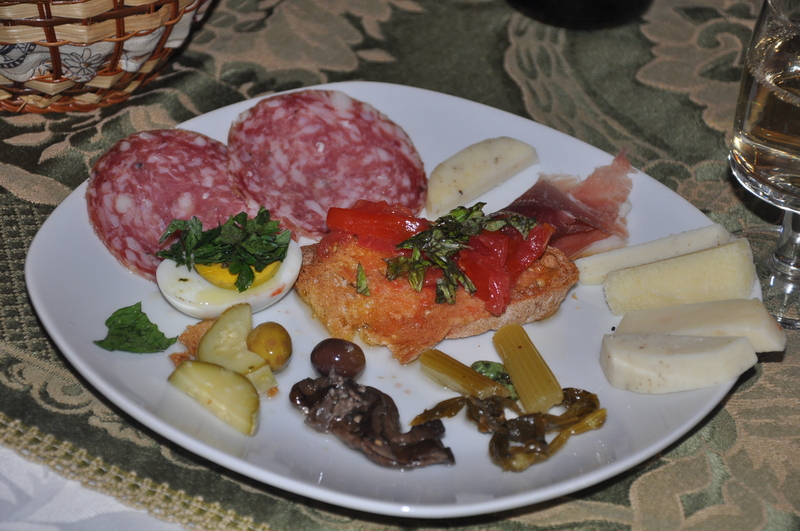 I’m Italian this is a good article if you want contact directky agriturismo a good website is http://www.Agriturismo.it/dontfollow. your proposals on the Italian food are good, but in Italy there are so many good dishes from the north to the south a lot of a little known greediness. I would like to follow your blog but don’t know how to join. I don’t twitter. I do have Facebook. Isn’t it easiest to just follow your blog by e-mail? Please advise. I LOVE YOUR SIGHT. You can follow us using the RSS feed button through something like Google Reader or like our page on facebook at facebook.com/walkingtours. Enjoy! good luck and have a safe trip there. I am wondering how was your trip to Italy and where you suggest me to go. I am planning to visit Italy. We are four adults. I would like suggestions for a good apartment or a domitory. I’ve stayed in an apartment in Florence for two months, hostel in Rome for one day and hotel in Venice for two days. The apartment was the best value however overall probably because i stayed there for such a long time but going during jan and feb was the reason I got a good deal… I have seen also some great apartments on this website thekeytoitaly.com around some of Italy’s main cities. Hey, and what about Campings? You forgot that. E.g. in Rome it is the cheapest form of accommodation – for 30EUR/2 persons/day in a very nice bungalow in a beautiful camping! Hello, nice article, I loved the options you suggested, even if I must say that in Italy Agriturismi are not quite often so cheap… but surely- especially for countryside regions- they’re the best option for families. retired, my wife and I wish to spend a month in Amalfi area, I’m sold on Salerno, but need a one bedroom-bath apartment center of town close to bus and train. I don’t want to deal with agencies to find apartment. I was told the town hall or comune could have a list of local apartment to rent posted by owners. Is this true and how do I go about it. Also I have no problem staying a night or two in a B&B and take my time to look for apartment. Yoiur thoughts on this. Many thanks. PS is October/November good time. Not looking for beach just great panoramic views and nice towns. We’re so glad you’ll be visiting the Amalfi coast, and Salerno! First, for apartments, you might want to check out the websites wimdu.com, housetrip.com and airbnb.com. They’re really easy to use, and the benefit is that you can book your apartment safely, online, in advance, whereas if you find a local apartment somehow online, we’re not sure how you’d guarantee your reservation and leave a deposit—by bank transfer? (We highly recommend people stay away from wiring or transferring any funds to apartment owners before they not only get the keys, but are sure the keys are for the place they’re staying in. Scams do happen!). And, yes—October/November is a great time. Some restaurants, etc. will be closed by November, as it’s out of the tourist season, and the weather then might be slightly rainy, so we’d say compromise and go with late October, when it will be beautiful and quieter than in summer, but still with many places open. Your Ideas about accommodation are really fantastic. You have provided many options excepting Hotels. I most liked the Bed and Breakfast stay, which you have been mentioned in your post. Many thanks for giving us such a nice idea. Any ideas for Sicily in october—-4 weeks in two locations. October is a lovely time to be in Sicily. You might consider splitting your time between Sicily’s eastern coast, making your base Catania or Taormina, and the western coast, making your base Palermo or (for a more off-the-beaten-path, local destination) Trapani. In either case, we’d recommend renting a car to take the most advantage of the time you have and to be able to get to all of the local spots that aren’t necessarily well-connected by public transport. Let us know if we can help with anything else! I follow you on Instagram since the beginning but for some reason I came across with this article only now! There are many good inputs for a budget travel to Italy but the thing I like the most in your article is the ‘think-outside-of-the-box-with-no-fear’ concept which is valid both for location and things to do. Guests who visit us always love to wonder around and discover new uncealed treasures every day. Very helpful, especially the information on agriturismi! My fiancé and I are looking to go to Italy on our honeymoon at the end of July (apparently the more expensive time to go , but we would just have to work around that) I am at a complete loss about where to start. We would like to visit at 3 different locations, but if we went with farm agriturismi how covenient/expensive would transportation to the main public transportation be? We are possibly looking to be there between 10 and 14 days. Any more helpful advice you could share on where to begin (and how to navigate the italian websites 😉 would be so welcome. We’re happy to help! Unfortunately, really the best way to stay at agriturismi is to rent a car; public transport is just too difficult, unless an owner is willing to pick you up from the station (but in that case you’re then pretty much stuck on the property until you want to change cities again!). Let us know if we can help with anything else! cosy, small B&B. Central, good infrastructur, close to metro/tram. Quiet location, traffic s/t noisy. B&B located in typical neighborhood on 3rd floor of 19th century building. The rooms are clean, simple but pleasantly furnished, recently renovated. Breakfast is simple, but with more variety than common in Italy. Alessandra runs the B&B, lives in the building and is the absolute highlight: always helpful, big smiles, warm family atmosphere. We could use the kitchen, fridge, stove, dishes. Top! My husband and I are going to be in Italy (Florence) approx. Sept 4-5th for 3 weeks. Our last week is booked for a wedding in Sienna ,but don’t know where else to stay. We don’t have a large budget, but do not want to stay in hostels. Can you give any information as to where to stay, clean, comfortable, with kitchen. Hi Diana! Have you see our The Best Day Trips from Florence post for ideas on nearby cities and towns to visit? As for accommodation, have you considered renting an apartment AirBnb? Prices are usually affordable and most of the apartments give you access to a kitchen. Let us know if you have any questions! Thank you so much for writing this. My boyfriend and I are traveling to Italy for the first time this October! I love Italy and it has always been my dream destinations …any one in italy who can provide cheap accomodation????????? Ciao! We suggest checking out the different options (agriturismo, hostel, b&b, etc.) in the areas you’d like to visit 🙂 Let us know if you have any questions! Hi there! I will be traveling to Italy (Rome, Florence, Tuscany, Cinque Terre, Venice) mid-October with my mother. 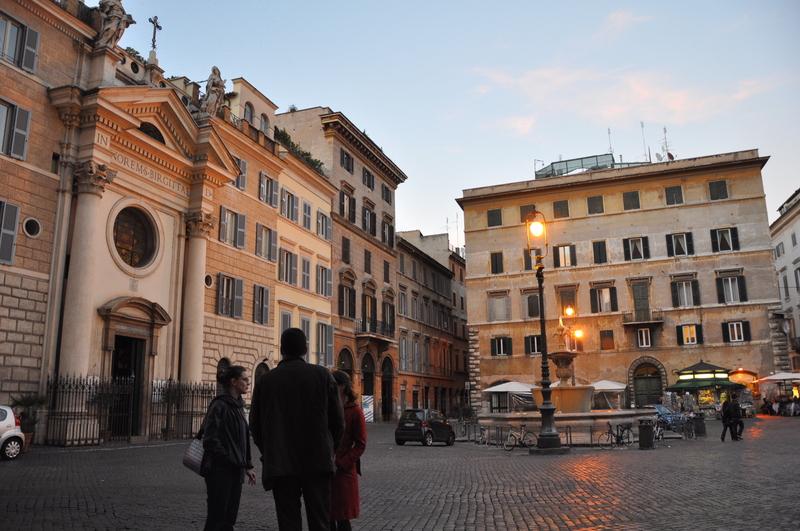 I’ve been finding that the average price for a quality B&B in Rome is between 130 – 150. I’ve found a B&B near Piazza Navona which I love; however, I’m a bit apprehensive to spend $600 for four nights. It just seems pretty steep, but maybe that’s just Rome. I have seen cheaper options, but not as nice. So, I guess my question is is 160 a reasonable price for a double room at a B&B during the time of year we will be traveling? That sounds like a great trip! That does seem to be a pretty reasonable price in Rome, even in the off-season. In Rome, the biggest difference in price isn’t so much in the seasons, but in the location. If you are in the center or near to a major site (it’s hard not to be in the Eternal City!) then the price will reflect that. We often use http://www.booking.com to compare prices, or, you could try looking for spartan rooms in one of Rome’s many convents. A quick google search will show you some that might be available! Have a great trip! Heya! I’m actually taking my mother to travel through Milan/Venice/Rome mid-October as well! Just wondering how the rest of your planning went and where you decided to stay for Venice/Rome! I’m still looking, hoping to find something reasonable and safe! Great article. I agree with the prices. I travelled through Toscany mainly stayed at hostels in Pisa.. The good hostels were around 20-40 euros. The cheaper ones 10-15 euros but dirty. I would definitely recommend to pay a bit more and check the reviews on bookings.com or hostelworld.com. Ciao sono un studiante nello Utah e ne ho tanti amici in Italia pero sono del nord. voglio andare a visitare Napoli e tutto il sud. Invece di pagare 100 euro ogni notte potrei trovare un posto tipo un appartamento e averlo per un mese pagando solo 500-600 euro? So che si può farla a New York. Hi Keeton, it’s great to hear that you’re studying Italian – it will make your trip to the country that much easier! You can, of course, try to rent out a home for your time there via homeshare websites like airbnb or homeaway. The cost likely depends on the time of year, location and length of stay. We hope you have a great trip! Hi there. I will be in Italy for five days for a conference , i know it’s too short a trip, but i want to see as much as possible. Plea suggest where all to go… What all to see. I am planning to book a hostel in Florence and travel from there to Venice and roam – one day for each. And then if time permits to surrounding localities will it work? . If you are planning on spending just one day in Florence and Venice, we suggest taking a look at our day or half day tours of each location. That way you can be sure to see all the top sights with the help of a local expert tour guide. Check out our Venice in a Day tour to see the St. Mark’s Basilica and Doge’s Palace, among other things and top it all off with a gondola ride! Or if you’re only in Florence for a day we suggest our Florence in a Day tour to get fast-tracked in to see the David, the Uffizi Gallery and a guided walking tour of the historic city center. Visiting such incredible cities in just one day can be difficult, but if you plan well or are guided by our local experts, you’ll be sure to get the most out of your trip! Let us know if you have any other questions. Great post! The information is interesting and quite helpful for me right now. I’m moving to Italy to live and work for a while and as a beginning I need to find a cheap accommodation for the first few weeks.Thank you for sharing! We opened a 30’s style beutiful Bed and Breakfast in Milan last year! Were located in the heart of the city, just 3-minute walk from the central station. Delicious breakfast, free WiFi and daily cleaning included. Safe parking in the courtyard by request. Check the website for more information and bookings. Prices starting from €69,00/night. If theres someone in need of accomodation for the day of arrival or before departure in Milan (Malpensa airport 30min away by train) ask for more information or check our website! what website? Which B & B? Hi there- my fiancé and I will be traveling to Europe for our Honeymoon. 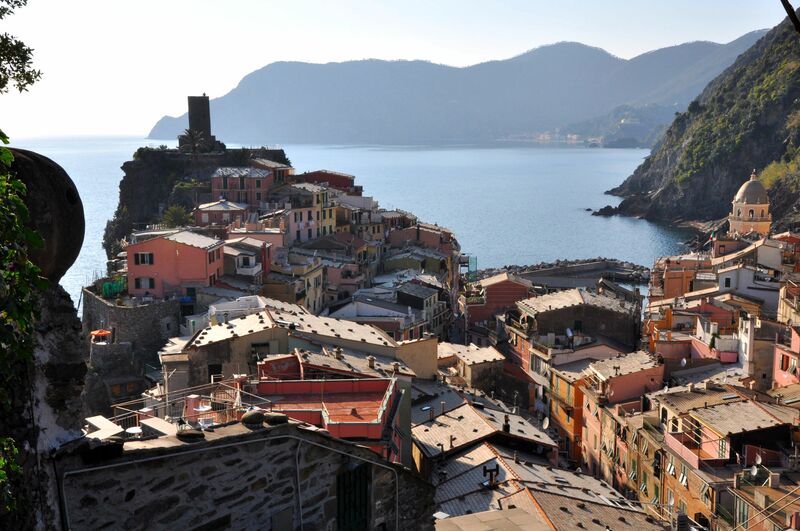 We plan on spending a few nights in Cinque Terre and a few nights in Rome. any suggestions would be greatly appreciated! Sounds like a great trip! We suggest you get the most out of your time there through some of our excellent Rome day tours, like our Best of Rome tour that hits all the major sights, or explore outside of Rome on a day trip tour, including a trip to Tuscany with wine tasting and lunch on an organic farm. All tours are guided by our local experts. Hope to see you there! thanks for informative post. this really helps in cheap accommadations. There are lots of travel blogs which are now featuring latest offers and deals on accommodation. I can understand the fact that we always need to add some extra in our set budget due accommodation charges. But you have also mentioned some great tips and I really liked them all. Can anyone suggest a place to find a host family for my 18 year old son to take a year off after high school and wants to live in Florence for about 3-4 months. I think a host family in Florence would be great.. but I cannot find any. Does anyone have a suggestion? Sorry, for previous post. Me and my girlfriend are planning trip to Roma, and we are searching a place to live a little bit cheaper, and asking for advice. Unfortunately we’re in the tour guide business, and not the accommodations business, but we hear from many travelers who seek out home or apartment rentals to save a bit of money in otherwise expensive cities! Hi there, i and my husband coming for honeymoon to Italy. Where we should go? And also maybe we will go to France and Spain for short visit. We got 18 days to spent altogether. Hope can get some advice. We suggest you scroll through the articles on this blog to see what destinations strike your fancy. Have a great honeymoon! Which are the three best and cheap accommodations to stay in Italy? Unfortunately we’re only in the walking tour business, not the accommodation business! We’re sure you can find great accommodations by simply searching online. Have a great trip! Italy is famous for its tour and traveling as we can see It can be counted in most beautiful countries of world because it has Venice one of the most exquisite water canal city you are surrounded with canals,bridges, long boats in the whole town, so the best option to choose in Italy is Venice. You can stay at the end or boundary of a city at that place hotels are normally less expensive hotels in mid of the town or at the prime location are quite expensive the one which are outside the town can save your rent but make you expand a lot on traveling to the city. My partner and I are looking for budget accommodation in a town where we can stay for a week and take train or bus day trips to see all the sites of Italy. Can anyone recommend a good town and some good buy cheap places to stay? We are on a very tight budget. This blog is fascinating one. Thanks for the sharing this blog and keep on sharing these kind of useful blogs. We think a month in Italy would be great!! You could choose a location in Italy well-connected by trains to travel around the country (anywhere along the high-speed train route). Being so south, Italy isn’t very centrally located to see other parts of Europe, but with budget airlines you can easily fly to different countries for a long weekend or trip, while still keeping an apartment in Italy. It’s also easy to drive into southern France, Switzerland, Austria, Slovenia and even Croatia from Italy as well. Hope this helps! My family is going to go on a vacation soon and I wanted to find the right bed and breakfast for us. One thing that really stood out to me is that some bed and breakfasts have a good balance between a hotel and a family owned home. I also appreciate that most of the bed and breakfasts you can find easily online. Nice Article! Thanks for sharing such a beautiful informative information on the Blog. it’s a nice Article on Italy budget travel cheap accommodation. I really appreciate the blog, Information present on the blog is very useful for Frequent traveler’s to Italy. I Look forward to get more Articles on Italy cheap accommodation. Thank you. Hey thanks for sharing the above tips. It’s really very helpful. love this post, very thorough and informative. You can do all this for cheap? Wow! Thanks for sharing this. While visiting Italy, a single person need not to worry for his budget because a particular tourist can stay from hotels to hostels, villas to monastery all according to your affordability. Traditional cuisines do also comes in very cheap rates. Thus, you end up making your trip very joyful and friendly. If you have tight budget and wants to visit Italy then you should start planning few days ago of the journey and start finding out the best hotels in the places which are near to stations and all visiting places as it will save the cost of travelling.